Ever wondered how members first became involved with their Guild or what words others would use to sum up the Guild? Meet the Guild is a new feature on Facebook that any Guild member can be a part of. In each installment, a Guild member is asked three questions about their Guild involvement so we can learn a little more about their Guild experience. If you would like to be featured, we'd love to hear from you! Email guild@churchofscotland.org.uk to find out more. 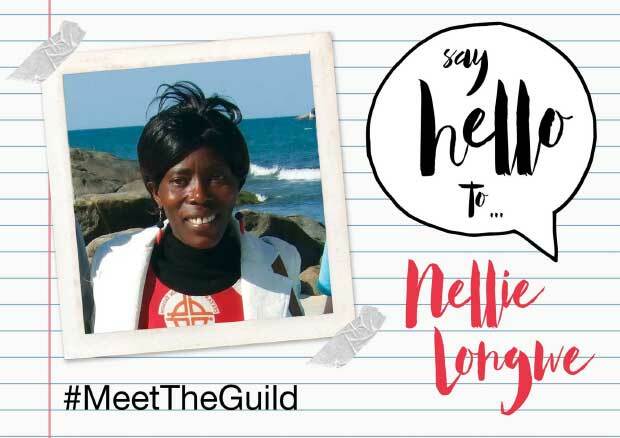 This instalment of #MeetTheGuild‬ comes all the way from Malawi as we say hello to Nellie Longwe! Nellie is the Acting Director of Umanyano - the Women's Guild in Malawi - and she has been a member of the Guild since 2003. She is also a minister, as is her husband Eliam, and together they have three boys who are aged six, three and one. What made you first want to join the Guild? I was attending Theological College and I thought it would be a good idea to join the Guild to learn how to work with adults rather than youth. Why do people want to join the Guild in Malawi? Some join to learn more about the Bible, and some join because their friends go. The uniforms are respected so some people join because they like the uniform. Usually in Malawi, if you are a member of CCAP (Church of Central Africa Presbyterian), you join Urikano (the Youth Guild) first, and then when you get married, you join the Umanyano, although now we are starting to relax that rule. Some choose to stay in Urikano up to the age of 30, even if they are married, because that's where their friends are. What happens in a normal Guild meeting? We meet every Friday and first pray, then do Bible study, followed by sharing from anyone in the group.